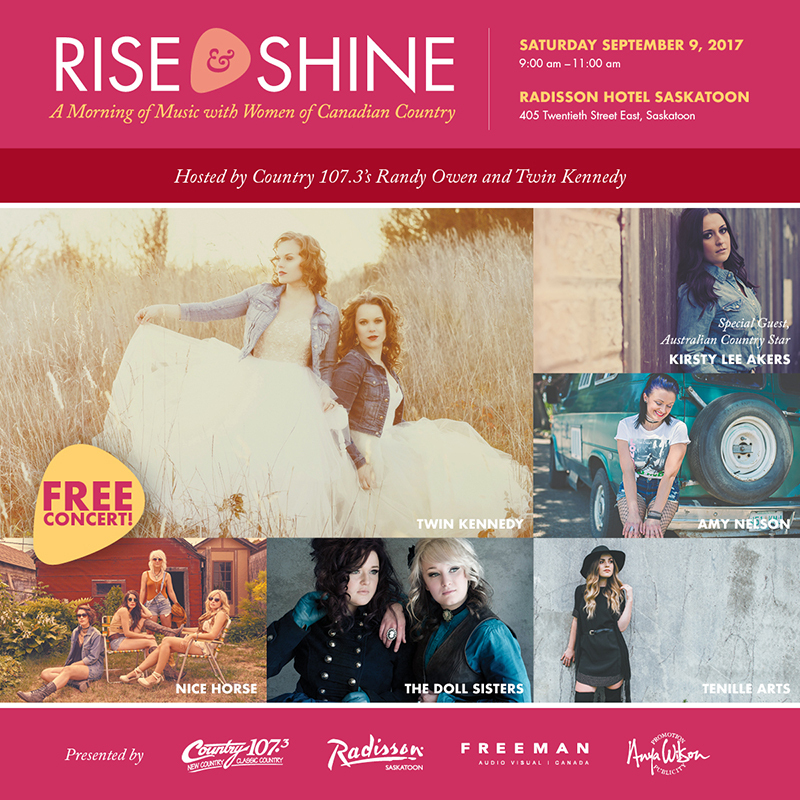 Saskatoon, SK, September 1, 2017 – In honour of Canadian Country Music Week in Saskatoon, Radisson Hotel Saskatoon is excited to host Twin Kennedy at the “Rise & Shine – A Morning of Music with Women of Canadian Country” event on Saturday, September 9, 2017 from 9:00 am to 11:00 am CT.
Radio host Randy Owen, from three-time CMA Ontario award-winning station Country 107.3 will be emceeing the event. 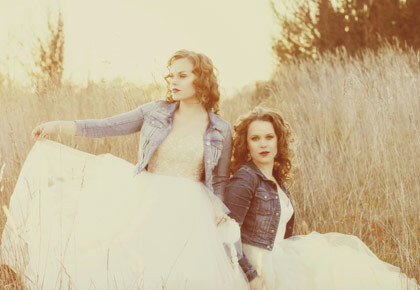 CCMA-nominated artist Twin Kennedy will be joined on stage by four fellow Canadian acts including Amy Nelson, Tenille Arts, The Doll Sisters, and Nice Horse, with a special appearance by Australian Country artist Kirsty Lee Akers. The event features a free concert and an opportunity to meet the artists while enjoying light breakfast refreshments and lots of prizes and giveaways. Twin Kennedy will interview each artist in an intimate “Girl Talk” setting following their performances and will be taking fan questions from the audience and via Twitter in advance or during the event. Fans can submit their questions by tweeting to @twinkennedy with the hashtag #RiseNShineSaskatoon. “As third-time CCMA nominee and proud member of the Canadian country music community, I am honoured to be a part of this special event during Country Music Week. Carli and I are so excited to bring together many of our favourite country ladies to celebrate the talented women in our industry and have a fun morning of music and girl talk!” says Julie Kennedy of Twin Kennedy. For fans who are unable to attend but would like to show support for the artists, the event will be streamed live on Facebook. The event will begin at 9:00 am on Saturday, September 9th at the Radisson Hotel Saskatoon, located at 405 Twentieth Street East, Saskatoon. This event, including performances, meet and greets and breakfast snacks and refreshments are all free to the public of all ages.